Location …. Location … Location! 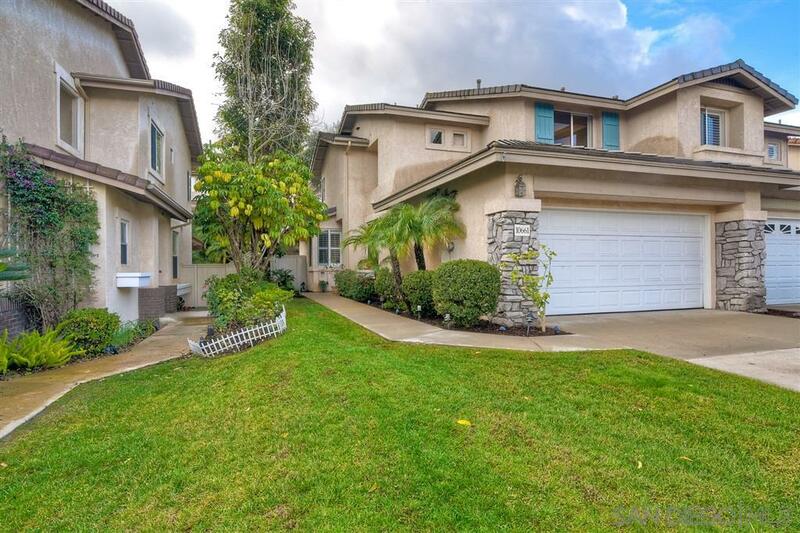 Quiet Cul-De-Sac , just a short walk to Scripps Ranch Marketplace, walk to local park w/ Basketball Court and Sand Volleyball Court, and easy access to I15 and S56 Freeways. Windchime town homes look and feel like a detached home neighborhood. Wonderfully bright and open floor plan w/ TWO Master Suites, a sunny, south facing patio area in back, and an attached two car garage. Low fees- HOA $42 mo. and Mello Roos only $54 mo. which ends soon. See supplement for more., This twin home features durable ceramic tile and hardwood laminate floors downstairs, upgraded neutral carpet upstairs, custom paint, plantation shutters, a walk-in closet in one master bedroom, A/C, and an upstairs laundry room. Outstanding Scripps Ranch Schools including award winning Dingeman Elementary. All this with just $42 mo. HOA fees, and low Mello Roos ($54 mo.) that will end in 2020.